Embattled auto parts supplier Takata has defied U.S. regulators, ignoring a key deadline to expand its recall of airbags that may contain a fatal flaw. The National Highway Traffic Safety Administration had given Takata until midnight to issue a nationwide recall in the U.S., but the company allowed the deadline to pass without taking action. Until now the recall has been limited to a select number of states. Takata could face a fine of up to $35 million if it does not comply. "The recall should be called by auto manufacturers, not suppliers, so it is not up to us to decide the recall," said Takata spokesman Toyohiro Hishikawa. "But we will fully cooperate once the makers decide to recall." "It's my personal opinion, but I wonder if NHTSA is serious about putting the fine to suppliers," he said. Takata's inaction drew the ire of NHTSA, which said in a statement that it found the response "disappointing." "Takata shares responsibility for keeping drivers safe and we believe anything short of a national recall does not live up to that responsibility," the agency said. "We will review Takata's response in full to determine next steps." 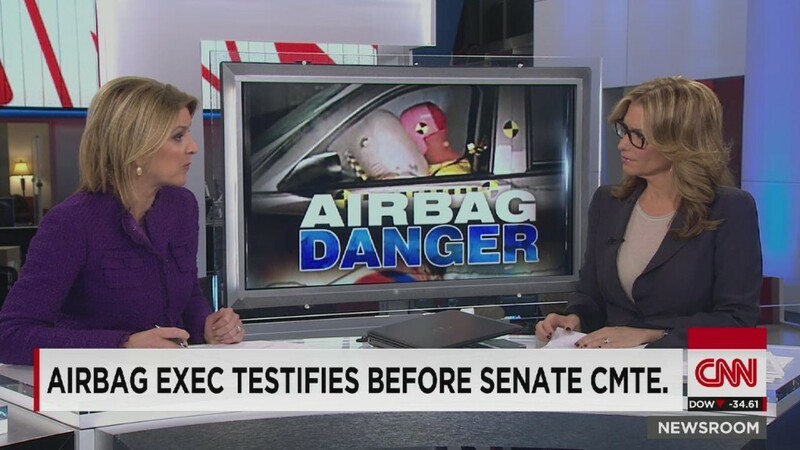 Japan-based Takata insists that the airbags are more likely to malfunction in high humidity areas, but NHTSA contends that the recall should be expanded to all states. Takata has pledged to increase production of replacement parts, and the company has engaged three former U.S. transportation officials to work on the airbag issue. The flawed airbags can explode and hit passengers with shrapnel. At least four U.S. drivers of Honda and Acura cars are believed to have been killed by the airbags, according to the U.S. Center for Auto Safety. Honda is investigating reports of a fifth death, this one in Malaysia. Millions of the airbags have already been recalled. Although the affected cars were manufactured by 10 different automakers, Honda (HMC) has been hardest hit. About five million Honda and Acura models are included in the recalls. While not everyone injured has died as a result of the accident, the Center for Auto Safety has listed nine serious injuries from the airbags. At least two victims had metal pieces lodge in their eyes, permanently damaging their eyesight. In most cases, the airbags deployed during a minor accident. But one lawsuit charges that the airbags in a 2001 Honda Civic deployed for no apparent reason while the car was stopped at a red light. Lawmakers in the U.S. have taken a keen interest in the recall, and a House committee is scheduled to hold a hearing on Wednesday. A Takata representative is expected to testify.